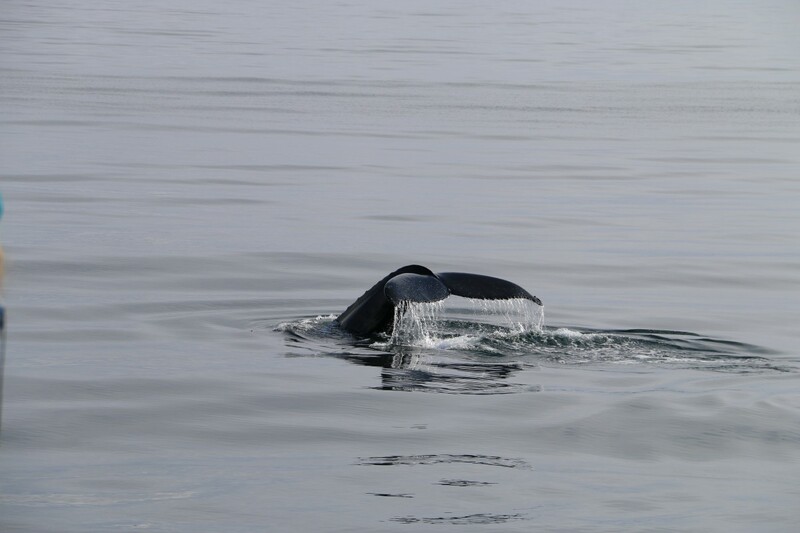 Humpback whales are habitants of Eyjafjordur from april to November each year and their number is increasing. They have though been seen in every month of the year. 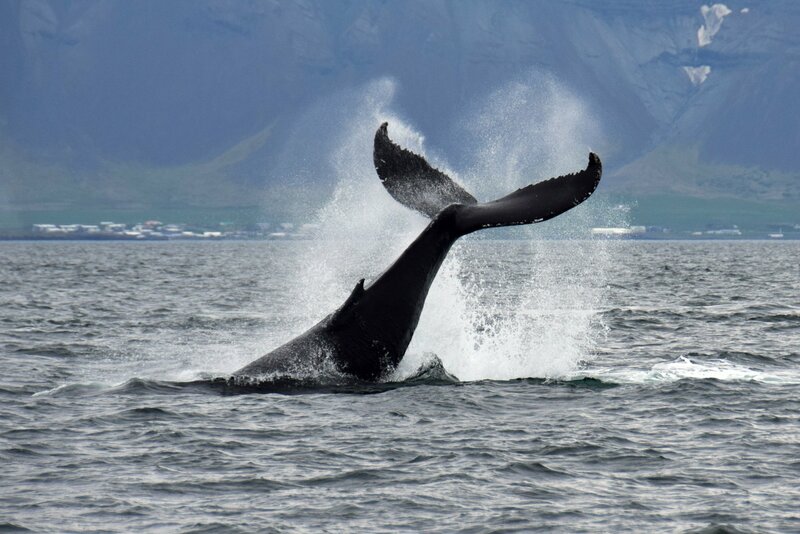 Humpback whales are habitants of Eyjafjordur from April to November each year and their number is increasing. They have though been seen in every month of the year. This year was amazing with sightings and quantity in record numbers. Whale watching in Eyjafjordur 2015 was quite simple perfect says Freyr Antonsson owner and CEO of Arctic Sea Tours in Dalvik north Iceland. There have been humpback whales in the fjord from the middle of April. It has been good the last few years but we are still stunned by this year. There were seven weeks period where we saw at least three humpback whales in each tour, sometimes up to 25. Eyjafjordur has been one of the best whale watching area in the world last few years. It is absolutely unique to have this big and fun animal always on show here. Humpback whales are from 13-17 meters long and weigh about 25-40 tonnage. It is curious, does not mind being watched and can breach, which is a stunning sight. As you can imagine the humpback whales are our favorite but we also see other whales like blue whales, fin whales, minke whales, bottlenose whales, killer whales, white beaked dolphins and harbor porpoises. Arctic Sea Tours has operated since 2009 and the data they have collected show marks of extreme changes in the area of Eyjafjordur. The time is from June - November each year. First two years humpback whales were seen in 30-35% and minke whales in 40% of all tours. 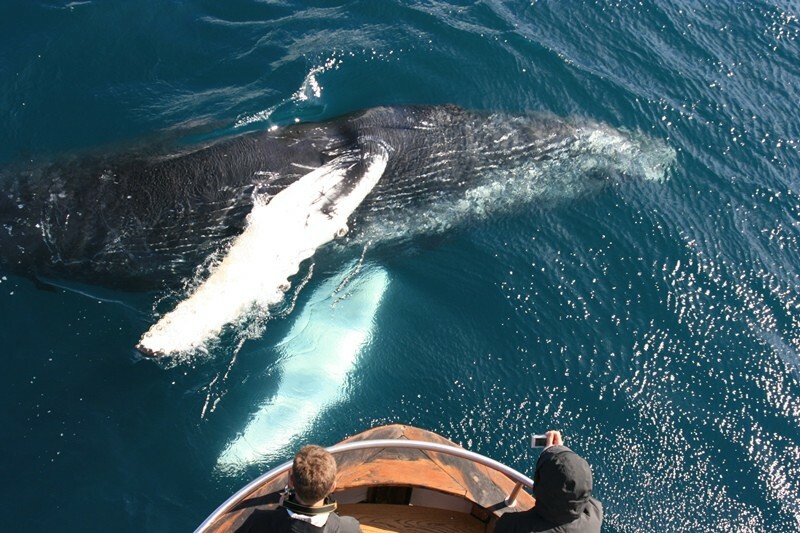 The year 2011 everything changes as humpback whales are seen in 96% and minke whale in 25% of all tours. Next years are close to these numbers or about 95% humpback whales and a little drop in sighted minke whales. This year another dramatic change as humpback whales were seen in 99,5% and minke whales in 7% of all tours. The reason for these changes is not known but changes in sea temperature due to global warming, different behavior or better lively hood of known food sources are likely cause. It just continues as good as it was in august, july and june. 100% record for humpback whale in september making our area here in Eyjafjordur, with the tours from Dalvik close to Akureyri north Iceland one of the best in the world. This spring the whale watching has taken place close to Dalvik north Iceland. Whale watching has been very good this spring. It is almost like the humpback whales are luring us out of the harbor as they have come so close.